There can be no doubt that children nowadays are most definitely digital natives! Just take a look at the content they consume on a day to day basis. Whether it’s using the family Tablet, watching the Smart TV or playing the latest games console they are immersed by high quality, engaging digital content that entertains and captivates. These are billion pound industries and production is often at a Hollywood scale to keep delighting the consumer (child) and keep them coming back for more, and the parents spending! And this is the challenge for L&D, how do we deliver a digital learning strategy that delights and engages are learners in the same way? Let’s consider this new generation of digital natives that are now entering the workforce. Exam results are up once again (A*-C grades in GCSEs in the UK), our children are acquiring more knowledge than ever (more on how digital transformations in the classroom can help this in a later blog!) but are they necessarily better equipped to enter the workforce and when they do, how can we ensure they continue to learn and develop? Recent studies by the College Careers Trust in the UK have shown that out of 1,000 students surveyed in the UK, 76% said that their schools trains them just to pass exams rather than prepare them for the world of work. Founder of the Trust, Lord Baker commented on how this highlights the huge skills gaps across industries, as we continue to focus on purely academic development paths. So how do we start to engage and inspire these students of today to be high flyers in the world of work tomorrow? The challenge (at least from a digital perspective) is to develop solutions on a par with consumer apps like Facebook, Twitter and Whats App? If we are not “consumerising” our learning technology solutions then we are never really going to ensure we develop truly successful people development solutions. This has been an issue in our industry for a while now – how do we change our people development strategies to adapt to the changing demands of the workforce and use this as a tool not only to develop and retain but attract talent? We need to focus on new strategies and technologies, including to name a few: User Experience Design, Personalisation of learning or Gamification. Delight and engage your learners with platforms that are intuitive and joy to use. This is where we start to look at intelligent content – systems that can recommend content to users either based on their preferences, assessment results or what they have accessed before. This is the next step for L&D and is often referred to as offering a “Netflix” type solution. 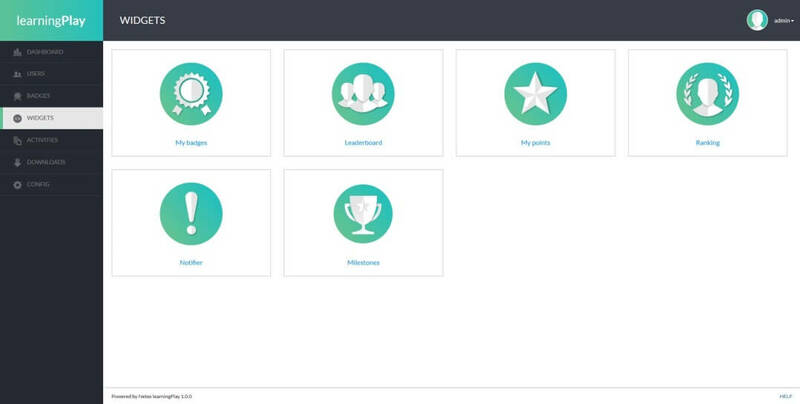 The potentials benefits of using gamification techniques within learning delivery have been well discussed. If this is an area of particular interest I would recommend you take a look at the recording of a webinar we held on this subject, earlier in 2015: Gamification and Badges – The new currency for Professional Development. There can be no doubt that by gamifying our existing content and platform solutions and by offering schemes such as incentives based on point accrual within the LMS, we are going to entice our learners to want to keep coming back. But what if you’re tied into an LMS deal and gamifying the platform is not on the roadmap, or you have a back-catalogue of content that although still relevant to your organisation, was developed before gamification was even being discussed. Well this is where learningPlay – Netex’s new gamification framework can assist. Using framework based on APIs and xAPI standard we can create activities based on content or platform interactions and assign widgets (Badges, Points, Leaderboards etc..) in real time. What better way to upskill our new millennial workforce. And remember before when I talked about consumerising our learning solutions – well it’s available in a fully responsive format and in online/offline model. If any of these items have been of interest, then why not come along to Netex’s Preview event which is being held in two unique events, one at the Heroes Club in Madrid on October 1st at 5.30pm. CEST and other at the IceTank in Covent Garden on October 7th at 4.30pm. BST. We will be talking about the trends we are predicting for 2016 as well as launching some of the new solutions I have discussed in this article. It will also be a great opportunity to network with fellow L&D professionals in an informal atmosphere!